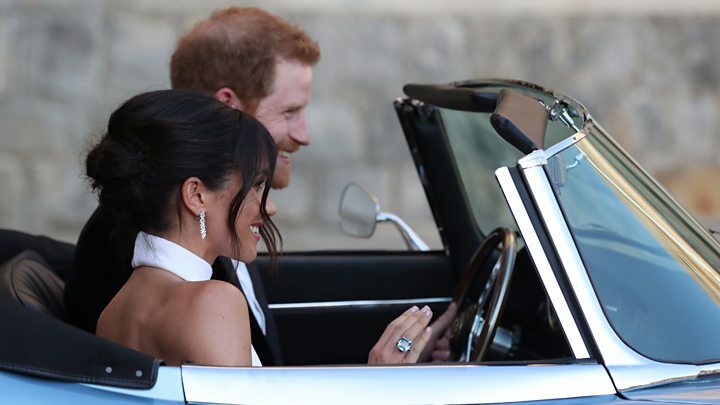 BBC -The newly married Duke and Duchess of Sussex have left Windsor Castle as the weekend’s royal wedding celebrations come to a close. The couple stayed at the castle on Saturday after an evening reception with 200 of their friends and family, hosted by Prince Charles. Details of Prince Harry and Meghan’s honeymoon have yet to be confirmed. 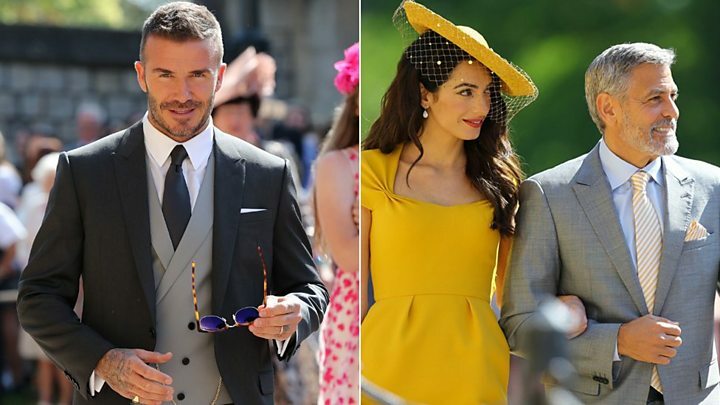 But their first official engagement as a married couple will be a garden party at Buckingham Palace on Tuesday. Earlier the Royal Family posted a message on their twitter account to thank those who had travelled to Windsor for the wedding. Prince Harry, who was given special permission from the Queen to keep his short beard for the ceremony, while wearing the frockcoat uniform of his former regiment, the Blues and Royals, changed into a tuxedo. Meghan broke with royal tradition and gave a speech. The evening refreshments are said to have included themed cocktails, including one named “When Harry met Meghan” – referencing the romantic comedy starring Meg Ryan and Billy Crystal. Some are also said to have staged an after-party at Chiltern Firehouse in central London. 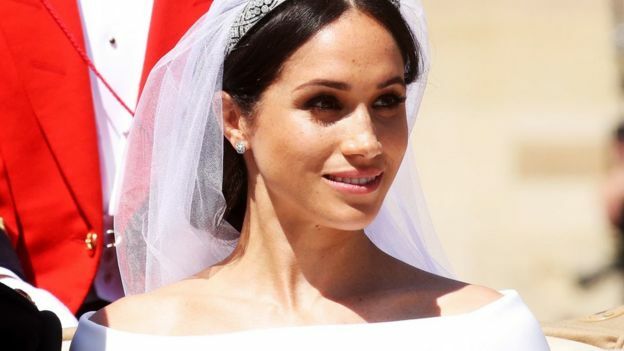 Clare Waight Keller, the designer of Meghan’s wedding dress, said it was a collaborative process with the royal bride. Meghan was “exactly what you see on TV”, said the Birmingham-born designer, adding: “She’s just so genuine and warm and radiant. She’s just glowing. The designer – artistic director of Givenchy – also spoke to Prince Harry after the ceremony. Her final design sketches are being given to Meghan as a keepsake. Meghan showed little sign of nerves while getting ready, her hair stylist has revealed. 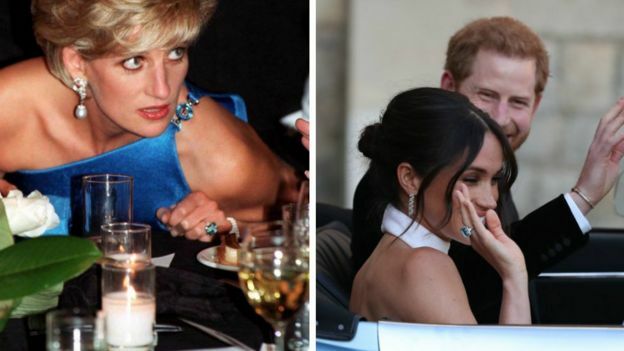 As a wedding gift, Prince Harry gave his bride an emerald-cut aquamarine ring which had belonged to his late mother – Diana, Princess of Wales – which she wore to the evening reception. All of the 600 guests at the ceremony held at St George’s Chapel, in Windsor Castle, were invited to a lunchtime reception at St George’s Hall, where the best man, the Duke of Cambridge, acted as compere. Among the close friends who attended the evening celebrations were Bollywood star Priyanka Chopra and tennis ace Serena Williams, who revealed their outfit changes on social media. TV audiences around the world watched the ceremony at St George’s Chapel, held in front of 600 guests. In the UK, more than 13 million people watched the TV coverage on the BBC One – peaking at 13.1 million just after 13:00 BST. ITV’s audience peaked at 3.6 million, just after 14:00 BST.